Following the record expansion year 2017 for onshore wind energy in Germany, new installations are declining in 2018 as expected. The figures collected by Deutsche WindGuard show a gross increase of 1,626 MW or 497 onshore turbines in the first semester of 2018; the net increase amounted to 1,505 MW. This corresponds to a 29 per cent decline in gross expansion compared with the same period last year at 2,281 MW. The current expansion is mainly due to the transitional phase of the old EEG. The effects of the error in allowing non-approved projects in the tenders has become visible in the order backlogs and the short-term growth outlook. “Without a doubt, an ambitious and dynamic domestic market is the prerequisite for export success in the growing world market. The goals of the coalition agreement and the EU’s new energy policy framework are correct. What the industry needs now, is a stringent implementation in tender quantities and growth figures”, demands Matthias Zelinger, Managing Director of VDMA Power Systems. The European figures compiled by WindEurope show that Europe is on track for a solid year in new wind farm installations. In the first semester 2018, onshore wind accounted for 3.2 GW across Europe. The expansion is driven by just a handful of markets, in particular Germany, France and Denmark. For 2018 as a whole, the industry continues to expect an increase of 3,300 – 3,500 MW, while on average some 4,600 MW were installed between 2014 and 2017. The market slump was part of the tendering system but is no longer compatible with the 65 percent target for renewable energy in electricity generation by 2030 set in the coalition agreement. “The energy transition is not failing because of the costs, but it is being slowed down by the lack of permits. We are currently experiencing a dramatic slump here. In some cases, proceedings were not pursued vigorously because it remained unclear for too long whether permits would remain as a basis for participation in the auctions. At the same time, the processes are becoming increasingly lengthy. A good 10,000 MW of wind power is currently more or less stuck in the process. A fundamental commitment to the 65 percent target across all political levels is needed to provide new impetus. This would require, among other things, making it possible to plan the target of two percent of the state’s land area for onshore wind energy and including it in the principles of regional planning in §2 (2) No. 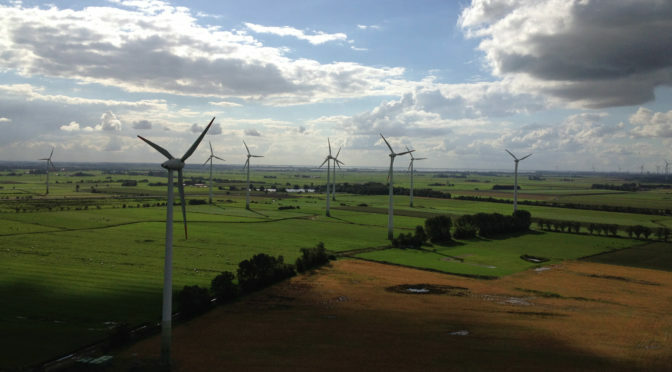 4 of the Spatial Planning Act,” demands Hermann Albers, President of the German Wind Energy Association (BWE). At the end of May 2018, projects with a volume of 4,261 MW were approved according to the plant register. Of these, around 1,900 MW had received approval by 31 December 2016, but did not opt for the tendering system and can therefore be implemented in the transition until 31 December 2018 with a decreasing EEG remuneration. The Federal Network Agency approved 1,288 MW for the tender in August, which had registered their approval on 11 July 2018. A clear policy signal from federal level is needed for stable growth up to 2030 in order to rapidly replenish the pipeline of eligible projects. “With the regulation to require the BImSchG approvals by the end of next year as a qualification for bids, an important step towards the correction of the decisive error in the EEG 2017 has been taken. Now some of the special tenders mentioned in the coalition agreement must be used quickly in order to alleviate the imminent growth gap in 2019. These quantities should be determined carefully to ensure competition. It must also be clarified quickly that there will be no turning back to invitations to tender without permits,” explains Matthias Zelinger. Last but not least, the recently adopted European Renewable Energy Directive also requires transparency for the deployment volumes to meet the 2030 target of 65 percent renewable energies in the electricity system. The special tenders agreed in the coalition agreement remain just as necessary as a legally anchored quantity structure for achieving the 2030 goals. It must be possible to react flexibly to developments from 2021 onwards if installed capacity gradually falls out of the EEG remuneration system. For turbines with a total capacity of 16,000 MW, it must be decided by 2025 whether further operation is economically viable. “Currently, only half of the plants have a chance of repowering. Here, state policy is required to keep existing locations usable with a high degree of acceptance. In view of the investments already made in the network infrastructure, this is also in the interest of the network operators,” says Hermann Albers. In the interests of climate protection, the dismantling and repowering of the first wind turbines must be taken into account when determining the quantities for tender. On the way to the 65 percent target by 2030, a slump in total installed capacity is unacceptable. “Even unrealized surcharges may not permanently reduce the deployment volume. These quantities must be reconsidered in subsequent tenders,” emphasizes Matthias Zelinger. The solid figures for the development of wind energy in Europe also mask some worrying trends. “France for instance has installed a lot of new onshore wind this year but they haven’t issued a single new permit for onshore wind in the last eight months because of an administrative issue – which has also resulted in their latest auction being under-subscribed. In Germany there’s no clarity yet on when the 4 GW new onshore wind promised in the coalition agreement for 2019-20 is going to be auctioned. And the new Government is slow in confirming the auction volumes beyond that”, explained Pierre Tardieu, Chief Policy Officer at WindEurope. At European level, it was recently decided to increase the share of renewable energies in the electricity supply to 32 percent. “Like all Member States Germany must draw up national energy and climate protection plans under the terms of the new Renewables Directive and now needs to give five years’ visibility on future auction timetable and volumes. This visibility is key to the supply chain and to keep wind energy jobs and growth in Europe. Investments in manufacturing, skills and R&D only happen when governments give long-term visibility to the supply chain. This clarity helps them to make new investment decisions and bring down costs. Addressing these issues will be key to enable Europe to meet its target of 32% renewable energy by 2030 cost effectively”, commented Pierre Tardieu the significance of the European legislation. BWE, a member of Bundesverband Erneuerbare Energie [German Renewable Energy Federation (BEE)] with more than 20,000 members, represents the entire industry. Members of BWE include the mechanical engineering industry’s suppliers and manufacturers, project developers, specialist jurists, the financial sector, companies from the fields of logistics, construction, service/maintenance and storage technology, electricity traders, network operators, and energy suppliers. As a result, BWE is the primary contact for politics and business, science and the media. VDMA Power Systems is a division of the non-profit German Engineering Federation (VDMA). The association represents the interests of manufacturers of wind turbines and hydroelectric plants, fuel cells, gas/steam turbines and plants and engine systems at home and abroad. VDMA Power Systems serves them all as an information and communication platform for all industry issues, such as energy policy, energy policy, legislation, market analyses, trade fairs, standardisation, and press and public relations.